You’re invited to share your knowledge and expertise through hands-on participation in chamber committees and groups. Bandon Chamber committee members and board directors provide direction for marketing, membership recruitment, visitor information and event planning. They also communicate directly with city and state officials to promote business-friendly policy and development. To volunteer, please contact the Executive Director. Sign up for Bandon Chamber e-news for up to date information about committee and group projects. Elections for our board of directors are held annually, in April, for open board positions. • You must be a member in good standing for at least one year. • Register interest in writing with a letter of petition signed by five other members in good standing. • Petition letters should be mailed or delivered to the Chamber of Commerce by the third week in March, addressed to the chamber president. Find present board director information on our Who We Are page. As the destination marketing organization representing Bandon, the chamber’s promotional work includes production of web and print material, communication with travel and news media producers, and paid advertising; participation in regional, national and international travel programs; research and data collection. The BCC marketing committee guides third-party advertising, managing city-approved transient occupancy tax revenue plus chamber member contributions. The chamber utilizes paid advertising for marketing of chamber business events and programs and to promote Bandon as a tourist destination. Read more about transient occupancy tax in the October 2016 chamber newsletter. The Bandon Chamber of Commerce does not invest resources in support of public agendas, legislation, or candidates for office. However, we communicate with our city, county and state representatives. And, we coordinate legislative news updates with the Oregon State Chamber of Commerce, which closely monitors important issues for chambers throughout the state, including transportation investments, expansion of small business and taxes, career and technical education, workforce development, community development, tourism, and natural resources. Learn more at the Bandon Chamber’s Oregon Legislation blog. 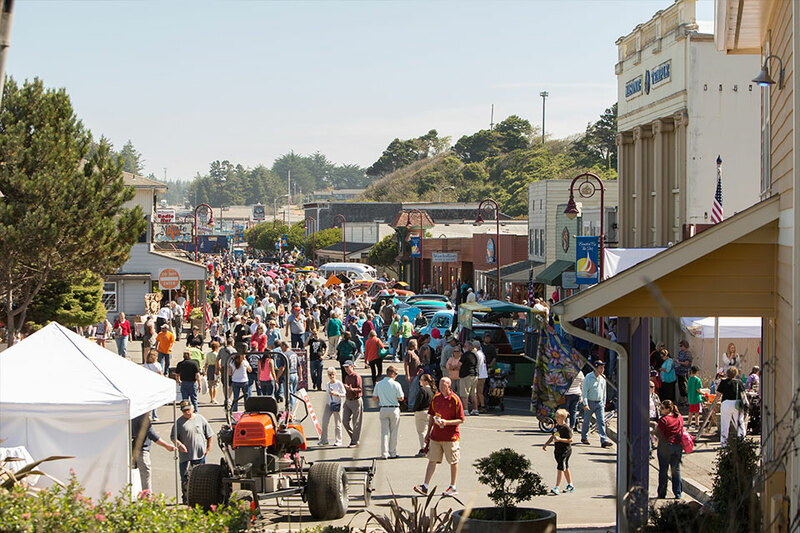 Bandon’s largest public festival event drew record-setting participation in 2016 with an estimated 15,000 residents and visitors in town through the weekend. The Bandon Cranberry Festival is the longest-running festival on the Oregon Coast, started in 1947, and managed by the Bandon Chamber of Commerce since 1997. The City of Bandon lends administrative support, but no public funds are allotted for the event. Operational funding is provided by business donations and sponsorships. The event is managed by committee members and volunteers. Visit the Cranberry Festival event pages to learn more about the festival. Volunteers are welcome. Contact us to get involved. 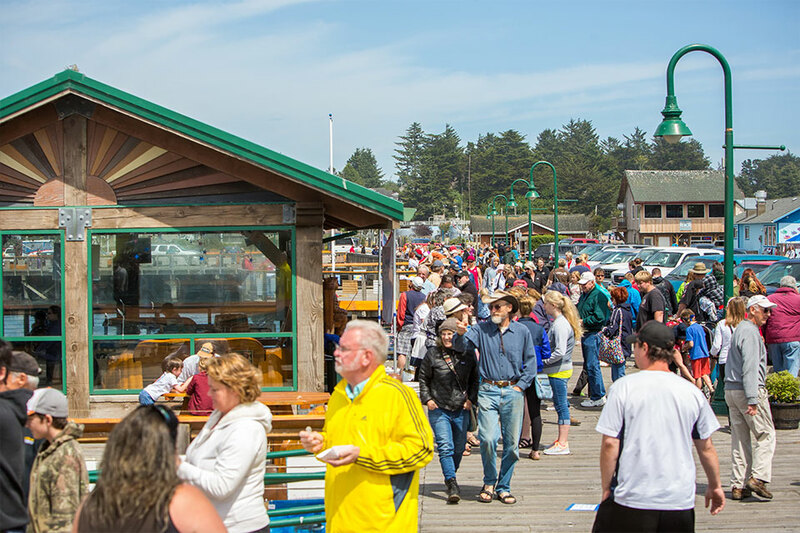 The Bandon Visitors Center is the only Oregon Coast visitor center open year round, staffed by Bandon volunteers. Our staff of trained volunteer docents receive and answer tens of thousands of travel and relocation inquiries each year! Visitors Center staff endorse Bandon and our business community every day. In addition to meeting and greeting, our volunteers organize and participate in tours of local businesses, assist with special events, distribute promotional material, and much, much more. Interested volunteers, please contact the Bandon Chamber. Chamber Ambassadors assist in recruiting new chamber members and managing business events. The BCC board of directors approves formation of special event and ad-hoc committees as needed. Recruitment is announced in chamber print and electronic news. 100 Strong Bandon is a group of women committed to financial support of charitable organizations serving Bandon area residents. We get together 4 times a year for a one-hour meeting, learn about local charities, and each donate $50 (or more) to the charity selected by the group, for a total impactful gift of $5,000, or more, each quarter. 100 Strong does not keep any percentage of the donations collected– 100% of your donation goes directly to the selected charity! 100 Strong Bandon is open to women 18 years and older living in the Bandon area. The group is coordinated by the Bandon Chamber of Commerce and welcomes non-chamber members. Learn more about the group and register at our 100 Strong Bandon page. A showcase of local businesses– all under one roof for one day only– at the Bandon Business Fair! 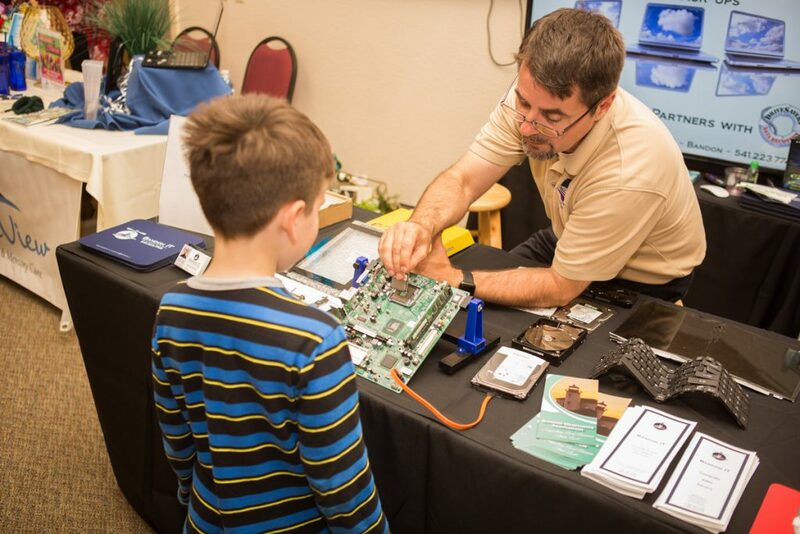 Enjoy games, product demos and one-on-one conversation. Get the latest scoop from your favorite businesses, and meet newcomers to the Bandon business scene. 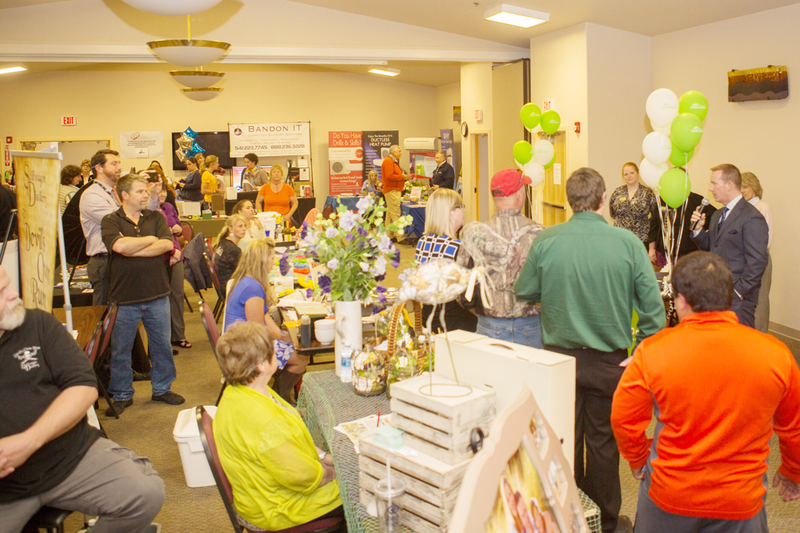 The Business Fair is free and open to the public at the Bandon Community Center, 1200 11th ST SW, in Bandon. The Bandon Chamber of Commerce organized its first business fair in 2013 to give professionals, Chamber Visitor Center volunteers, and the community a one-day business tour. Business reps upped the ante in 2014 and 2016, with a bevy of product samples, plus prizes and reward coupons for guests who tried their hand at games of chance or skill. Check out editor’s picks for standout presentation in 2016.